The Dartboard Bullseye Resin Dart Awards are the perfect awards for your darts champs! 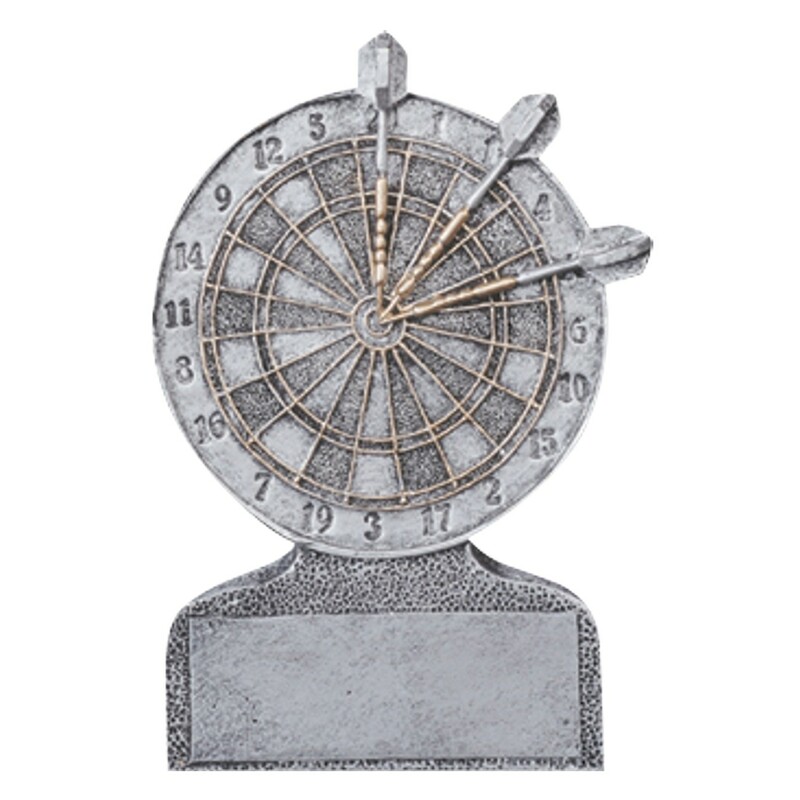 Made of solid resin, these beautiful pewter darts awards feature a dartboard and 3 darts on the bullseye with golden highlights. Price of this darts trophy includes 3 lines of golden engraving on a black brass plate. This small, inexpensive darts award is great for darts tournament runner-up’s. See our full selection of darts trophies for other dart award options.